27,000 flights in Europe per day. Who monitors these at all? 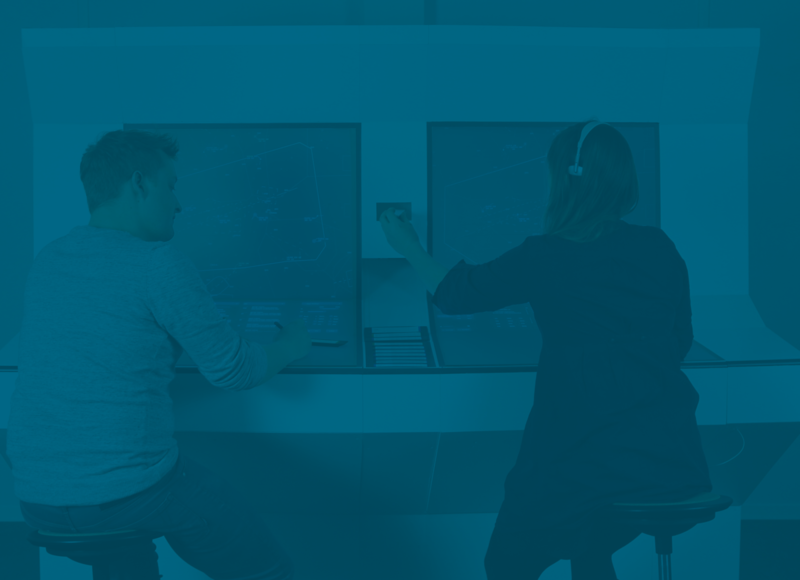 This question triggered our research, relating to the profession of air traffic controllers: In Germany, three control systems are used: a radar system with direct label control, a paperless strip system and an older system with paper strips. 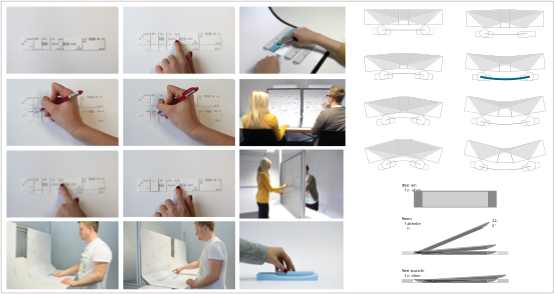 How might we redesign the existing workplace by referencing current systems? 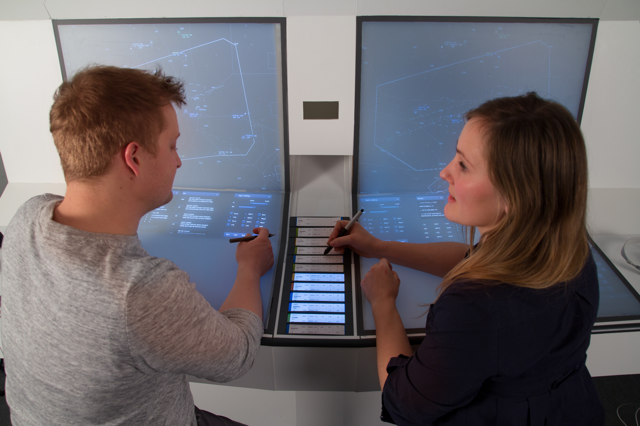 How should this solution be designed to support air traffic controllers in their process and increase security at once? 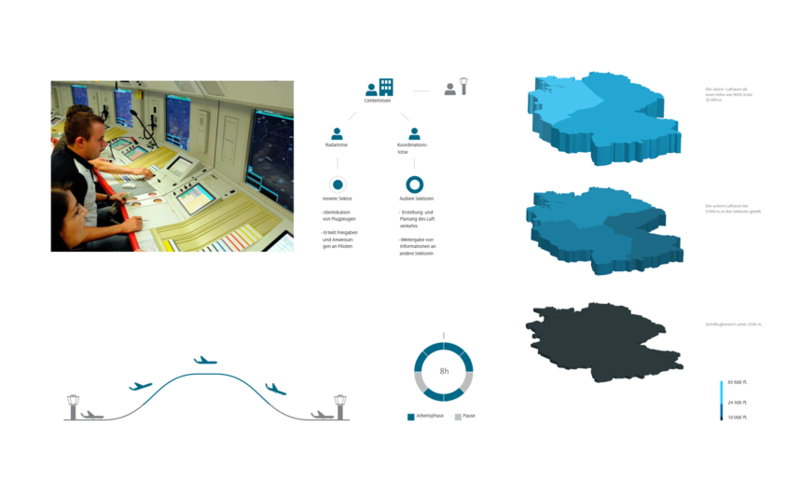 We conducted an extensive user research inside of air control centres together with air traffic controllers o gain qualitative user insights. They always work in teams of two. 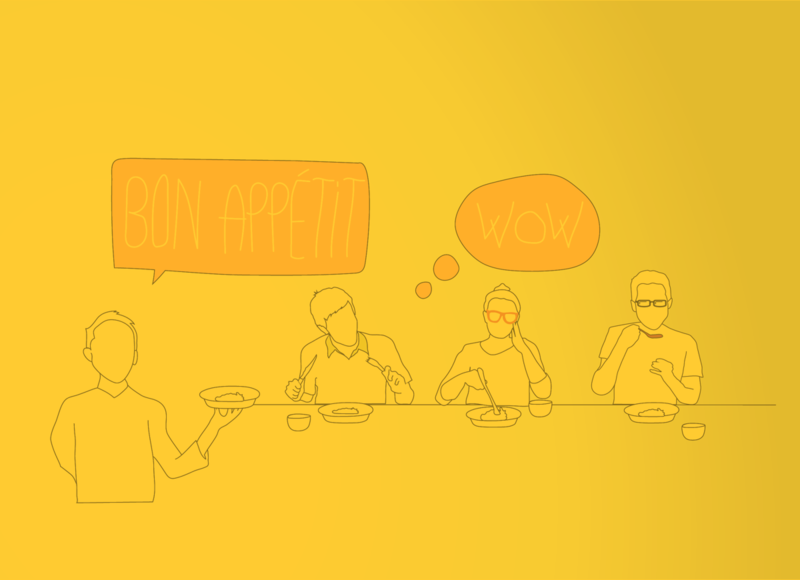 We analysed the teams working processes and flows to understand their needs. Therefore collaborative working is indispensable. 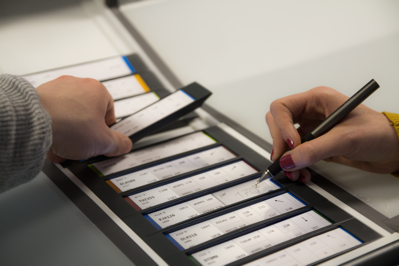 In contrast to the paperless strip system, the paper strip system supported a collaborative functioning and enabled an intuitive and safe work. A strong digital system which assumes the thinking process of the user decreases his work competency in a long term and gives him the feeling of diminished value of his own performance. In our concept, we had to combine the advantages of security from the digital system with the analogue, value-added and conscious operations from the analogue system. The focus of our concept – a newly designed air traffic control workplace – is on the internal communication of the controllers and the interaction with the haptic work tool: a control strip. 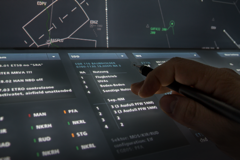 The strip consists of an E-Ink display and shows all essential information of the respective aircraft. 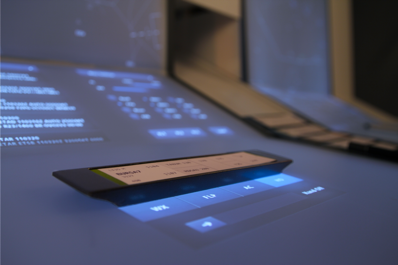 Conscious interactions will be achieved through the combination of all information and communication systems on a curved surface screen. 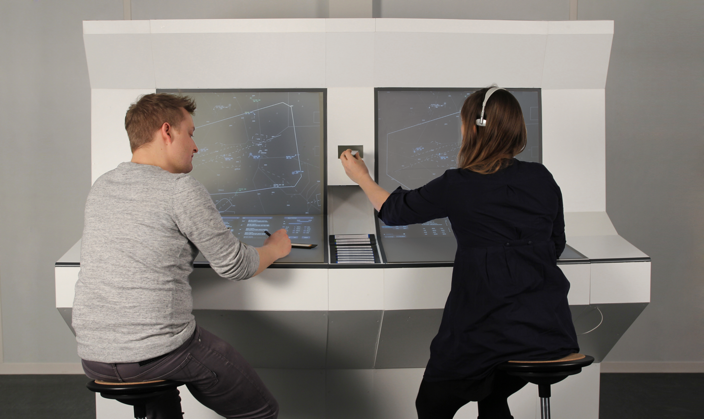 TESS presents a new communication concept for an air traffic control workplace by combining ergonomic, haptic and concentration-enhancing aspects.